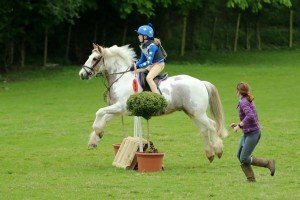 The 2017 mini hunter trial series will run from May to September and hopefully it will give many of you a fun day out and a stress free introduction to competitive cross country. 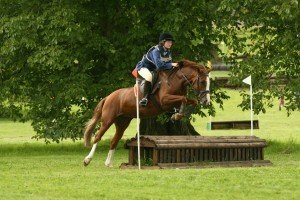 The courses are always designed to be educational for horse and rider and reward good xc riding at a sensible speed. As usual there will be 4 courses to ride over 50cm, 65cm 70cm and 80cm and each class will have its own points championship with a challenge cup for the winner. All the events will include an 80cm pairs qualifier as well as the usual classes. The dates will be 21st May, 4th June, 9th July, 27th August and 17th September. All entries are on the day. We are pleased to announce that the 70cm, 80cm and 80cm pairs classes will be Qualifiers for the Horseware National Hunter Trial Series Final 2017 giving the first 3 competitors the chance to win a lovely qualifying rosette in addition to the usual rosettes and prizes. With another possible 10 points to be won in each class on the 17th September it is still all to play for in the championship race! Clear Round Evenings If you want something low key without having to hang around try a clear round evening. On the Monday following a competition between 5.30 and 7.30pm we will be holding clear round evenings over the 50cm, 65cm and a modified 70/80cm courses. You need to walk the course when you arrive before mounting, then work in and let us know as soon as you are ready – it will be low key and you will be able to take your time and repeat a fence if you need to. Cost is £10 per round or if your horse needs more encouragement you can opt to go round as a pair for £15 . Send your email address to the email below and we'll send you news of our upcoming events and more! We wont use your email address for anything else!